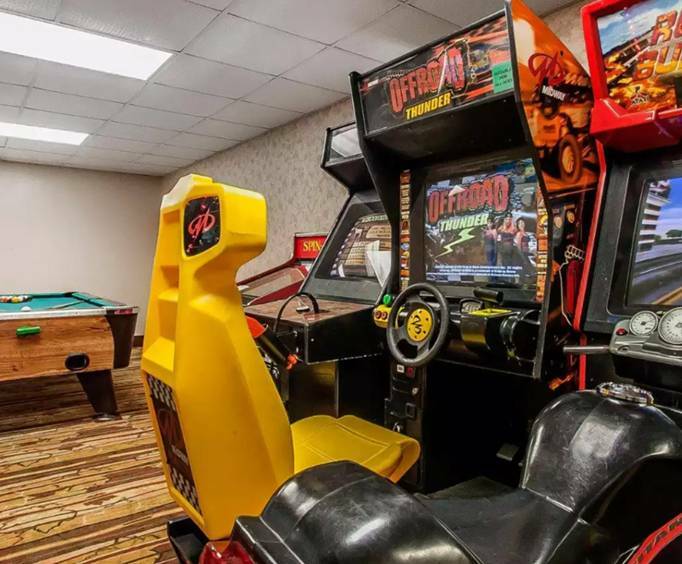 The Comfort Inn & Suites in Branson provides easy access to many of the area's popular attractions, including the Hollywood Wax Museum, which is only 2 miles from the hotel. You can start your day with a delicious hot breakfast that features eggs, meat, yogurt, fresh fruit, cereal and flavored waffles. You can stay informed with a free daily newspaper and free wireless high-speed internet access. 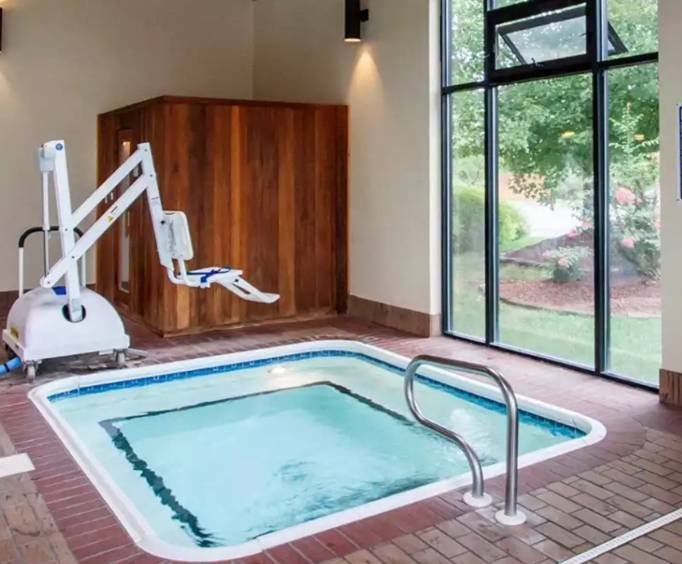 You can relax in the hotel's indoor heated pool and hot tub, or you can take advantage of its sauna, game room, and fitness center. Also, the Baldknobbers Jamboree Show and Dolly Parton's Stampede Dinner & Show offer quality family entertainment within a mile and a half from the hotel. A short drive takes you to popular many other popular attractions, including Branson Titanic, the world's largest Titanic museum, and Acrobats of China, which features the New Shanghai Circus. When you plan your special vacation in Branson, this excellent hotel is sure to provide the quality accommodations you desire. You can begin your busy day with a delicious hot breakfast of eggs, meat, yogurt and waffles. Then, you can catch up with current events as you read your complimentary newspaper while enjoying a fresh a cup of coffee. Also, you can take a moment to enjoy a spectacular view of the Ozark Mountains and Table Rock Lake. Every room at the Comfort Inn & Suites Branson includes a telephone that makes free local calls and high speed internet access. Refrigerators and microwaves are available in some rooms as well. For a delicious meal near the hotel, you can check out All American Cafe, B&period;T. Bones Steakhouse or Luigi's Pizza Kitchen, all of which are located within a mile of the hotel. Nearby attractions include Shoppes At Branson Meadows, which is less than half a mile away, and Branson Mall, which is less than two miles south of the hotel. "Staff is above superb! " Nice review, but someone should have done a spellcheck... It's not a sense of homeliness (as in ugly), but rather a sense of homieness...Or a sense of home..... Have a great day! We asked for a free upgrade and got moved up to a suite for our stay!! !